Grab your skates, call your mates and pick up a microphone. We’re throwing two Sing & Skate parties on Friday 15 February. Choose from our fun-filled family session from 5.30pm to 7pm or wait for the lights to go down and smoke machine to fire up at our club session from 7.30pm to 9.30pm. 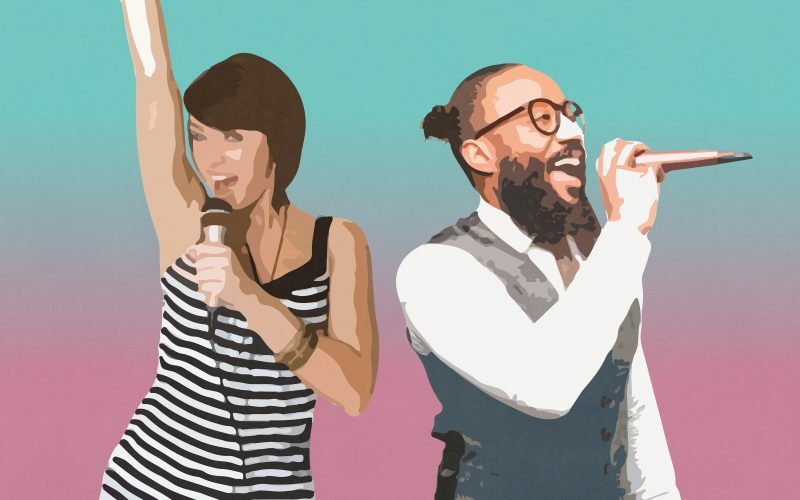 We’ll be powering up the karaoke machine, complete with on screen lyrics to combine two super-fun activities into one! With free sweet treats up for grabs to all those who dare to perform, you can bop along to all the cheesiest hits and cringe at the new renditions of your favourite karaoke classics. Got a song request? If there’s something you’re dying to sing, go ahead and post it on our Facebook Event Page, and we’ll put in a good word to our DJ. We’ll see you there!